Uprising Promotions looks to close out the year in significant fashion on Saturday, as Samuel “Main Event” Clarkson (21-4, 14 KOs) takes on Ryad Merhy (26-1, 21 KOs) at the Spiroudome Arena in Charleroi, Belgium. Hardware will be on the line in the contest, as Clarkson looks to bring home the WBA International Cruiserweight Title. Clarkson has recorded two consecutive stoppage wins since a small setback in a ShoBox main event against Dmitry Bivol in 2017, which ended a nine-fight winning streak. Relatively unknown when Clarkson stepped up to fight him, Bivol has since won the WBA Light Heavyweight Title and successfully defended it three times. Clarkson, 28, is a man who has always been willing to take on any opponent, even if it means that he has to travel across the world to Belgium to do so. Throughout his career, he has also continually proven that counting him out is a bad decision. During his previous nine-bout winning streak from 2014 to 2017, he entered the ring as the “b-side” fighter and emerged victorious against the likes of former world title challenger Cedric Agnew (decision win), as well as then once-beatens Jerry Odom (TKO-3) and Lavarn Harvell (TKO-2) on ShoBox: The New Generation. Keep it locked to @UprisingNYC to hear all of the news from Belgium as it happens. Greg Cohen, of Greg Cohen Promotions, proudly announces the signing of a pair of Brooklyn-based prospects, super lightweight Zachary “Zungry” Ochoa and super bantamweight Oscar “Filoso” Moreno to promotional contracts. Boxing since age 13, the talented Ochoa (20-1, 7 KOs) is a Puerto Rican from Brooklyn. Despite having just seven career knockouts, the 26-year-old scored a spectacular 15-second KO over Engelberto Valenzuela and, in 2016, was nominated for Knockout of the Year for his one-punch KO 8 of Luis Joel Gonzalez. Ochoa says he’s happy to have his career back on track and looking forward to the future with Cohen. Moreno (7-0, 6 KOs) is power puncher who comes forward behind lots of movement. Originally from Mexico City, he is now also living in Brooklyn. The 25-year-old went 54-5 as an amateur and was the 2004 Junior Olympic Champion, the 2011 Golden Gloves NY Champion and the 2012 Golden Gloves NY Runner-Up. Both fighters are managed and trained by Kelly Rich at GymU Boxing (in Association GGE Fitness Studio) in Williamsburg, Brooklyn. Rich has had Ochoa since childhood and has been working with Moreno for the past four years. Rich says he trusts Cohen to do the right things with his fighters. 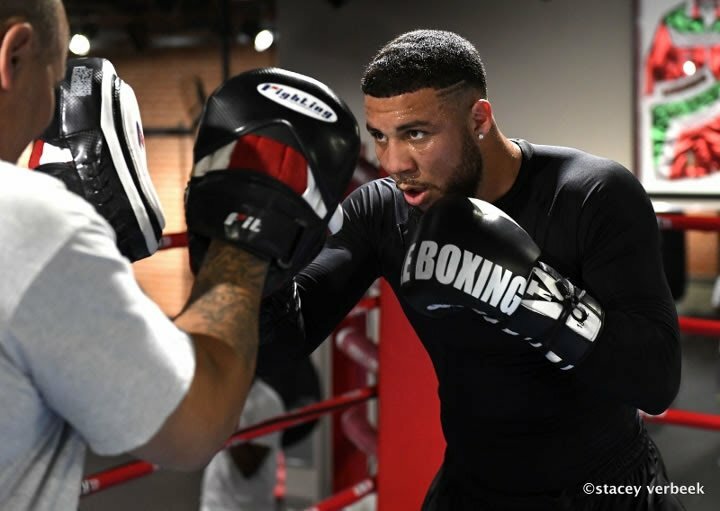 Promoter Cohen, on a hot streak of late with the “out of nowhere” success of heavyweight contender Jarrell Miller and world middleweight champion Robert Brant, says he’s happy to be adding this one-two punch of prospects from New York.